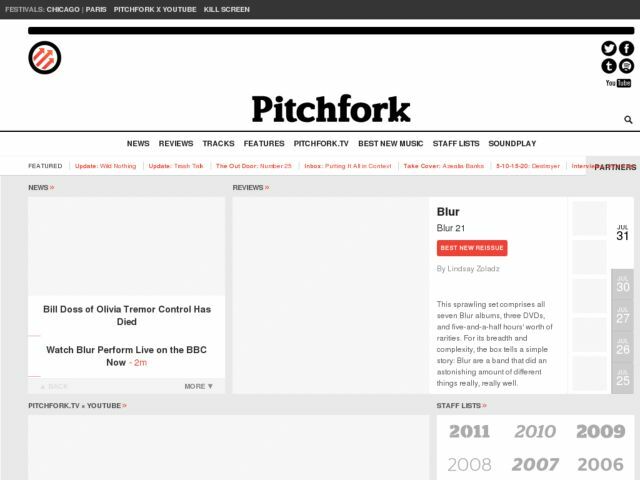 Pitchfork Media, usually known simply as Pitchfork or P4k, is a Chicago-based daily Internet publication established in 1995 that is devoted to music criticism and commentary, music news, and artist interviews. Its focus is on underground and independent music, especially indie rock. However, the range of musical genres covered extends to electronic, pop, hip hop, dance, folk, jazz, metal, and experimental music.